A handwoven laundry basket by basket maker Annemarie O' Sullivan. A contemporary, square based basket with two simple looped leather handles made from willow. 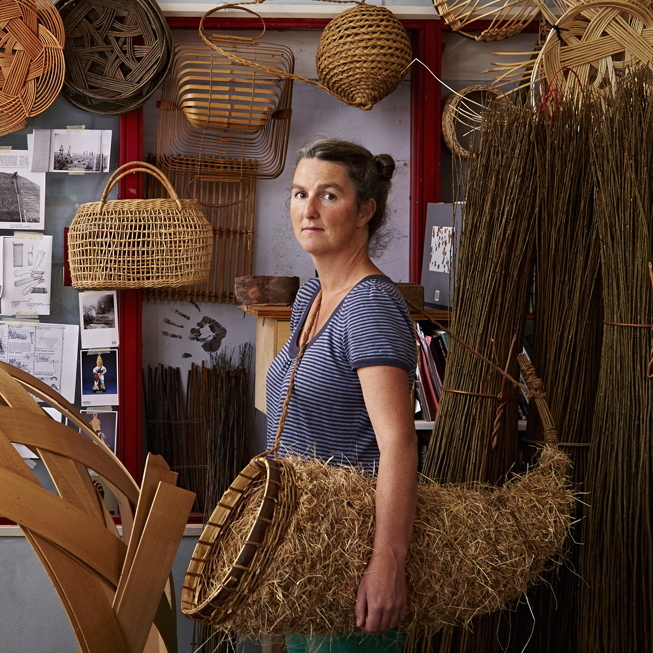 Hand-crafted from willow that Annemarie grows herself, these elegant laundry baskets are a response to the materials she hand gathers from the land. Annemarie's work draws on the sturdiness of agricultural baskets, the curves of the landscape and a deep respect for ancient crafts. This square based basket upsets to a round opening and is topped with two simple looped leather handles.